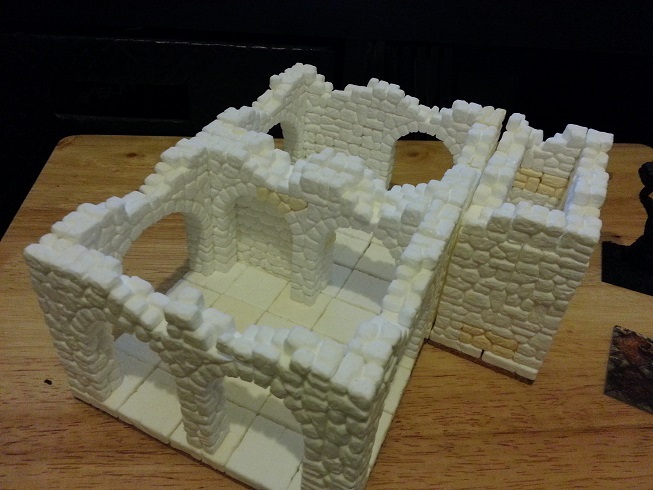 I'm tying again to build a 3D dungeon and this time it's all about Dungeon Saga!. My plan is to start small and eventually add more rooms into it, I'm starting making enough rooms for the 1st scenario in the rulebook and then I'll add more stuff. 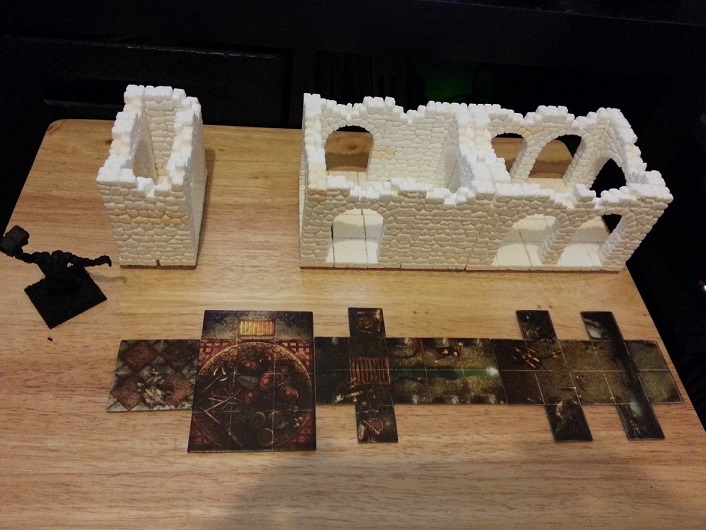 Since this is modular I can arrange the rooms as I like and I'm also experimenting using the rooms for Frostgrave.